If you are a Delta Airlines customer and often fly with Delta, you are going to like this news. 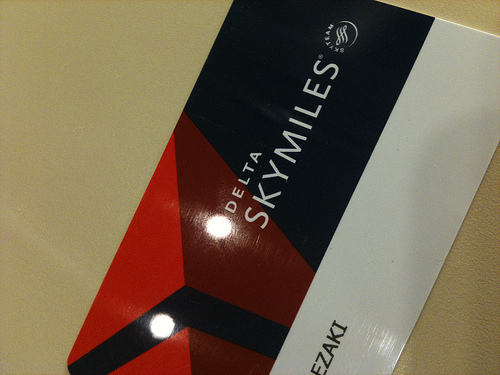 Delta announced yesterday that starting January 1, 2011, it has permanently removed expiration data from its SkyMiles frequent flyer rewards program, meaning that from now on your SkyMiles will never expires even if you don’t use them. Under the old mileage rewards program, your miles expire if there’s no qualified activities, such as redeeming miles or earning new miles, within a 24-month period. I never flied with Delta before, but I do have some miles that I earned with Northwest before it merged with Delta. Late last year, I noticed that some miles were set expire at the end of December. What I did was using a few thousands of miles to subscribe a magazine. Not the way I wanted to spend my miles, but that activity prevented the miles from expiring. In the past, we have seen that when one airline started to introduce fuel surcharges or baggage fees, others were quick to follow suit. Now that Delta has joined Continental which, recently merged with United, to remove expiration date from their loyalty programs, I hope other airlines, which still expire miles, will follow their example. TD Ameritrade Brokerage Account: Open and fund a TD Ameritrade account by March 31, 2011, and earn up to 25,000 miles when you deposit $50,000 or more.